A 132-page an exclusive collector’s magazine celebrating the people, planes and places that made the RAF what it is today. Pre-order your copy today! The RAF was formed in 1918 by merging the Royal Flying Corps and Royal Naval Air Service. 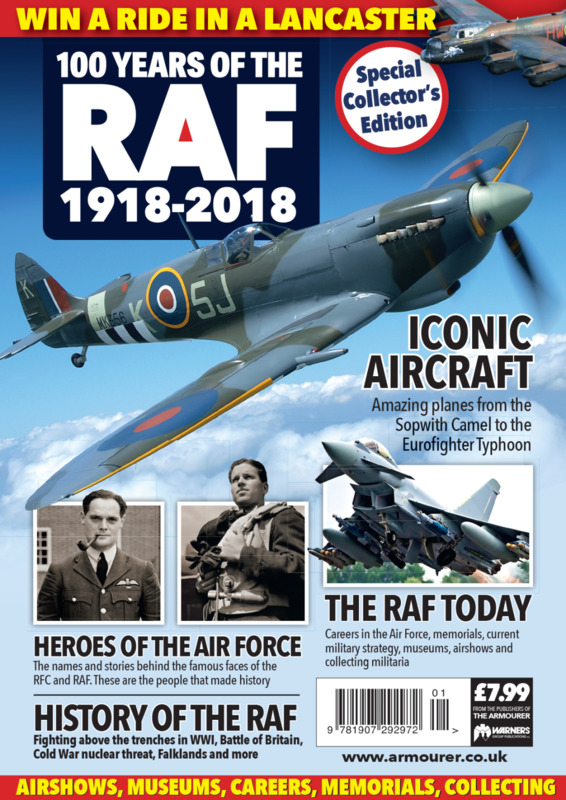 April 2018 is the 100th anniversary of the creation of the RAF and to celebrate we are launching a special collector’s edition magazine, 100 Years of the RAF. The RAF 100 bookazine is a sumptuous guide to, and celebration of, the people, planes and places that made the RAF what it is today. It includes the history of the RAF, from the early days, through to WWII, the Cold War years, fighting the Falklands and modern developments. Then the people behind the machines come under scrutiny – these are the air aces, commanders, geniuses and visionaries responsible for advancing the story through the 20th century. No look at the RAF would be complete without a guide to some of the most famous airbases and what they were used for but it’s the iconic aircraft section that’s bound to get any RAF enthusiast excited. Check out the fantastic photography as we showcase the Sopwith Camel, Spitfire, Hurricane, Mosquito, Lancaster, Meteor, Harrier, Vulcan, Tornado and Eurofighter Typhoon. Then, it’s time to look at the RAF strategy, careers for young people, the RAF memorials, airshows, museums and collecting RAF militaria. Finally, you can complete your RAF experience by entering the exclusive competition in the bookazine – it’s your chance to win a VIP ride in a Lancaster bomber.